Four-minute film illustrates tastes found in XO through alien landscapes. 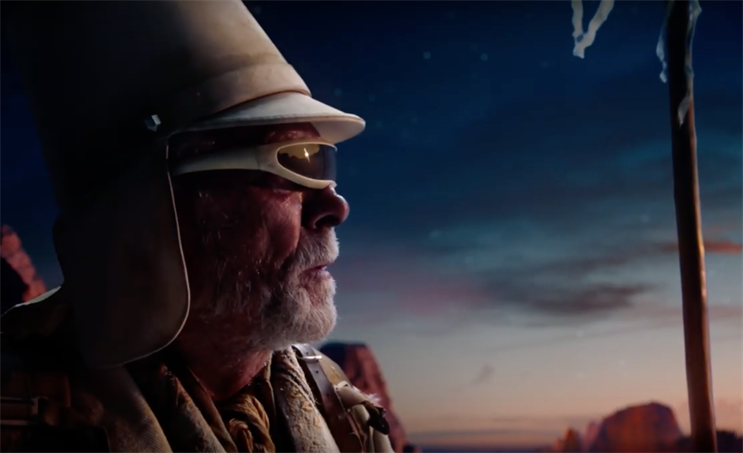 Hennessy and its ad agency, DDB Paris, have commissioned Sir Ridley Scott to make a four-minute film called "The seven worlds". The lavish production takes the seven tasting notes of the £150-a-bottle XO cognac as its themes, including "rising heat", "wood crunches" and "chocolate lull". The LVMH brand has bought a 60-second slot during the US broadcast of the Oscars ceremony on 24 February to premiere a cut-down version. The cost of 30 seconds of airtime has cost between $1.8m and $2.2m in recent years, according to Variety. Scott described the work as "pure art" in a behind-the-scenes video released by Hennessy. He said: "It’s more than advertising. It’s a form of entertainment. I think that advertising has realised after 30 years that it must shift back to entertainment and stop treating their customers like demographics. "If you get the art right, you are going to communicate. If I’m getting your attention, then [viewers] are going to get your message, and the message is there’s a great product called Hennessy." "The seven worlds" was produced by RSA Films in association with Soixan7e Quin5e Paris. MPC handled visual effects and the score was by Daniel Pemberton. Hennessy global chief marketing officer Michael Aidan said: "It is an honour for Hennessy to partner with a visionary like Ridley Scott. This film showcases Ridley's artistic genius, conveying the essence of Hennessy XO through entertainment that transcends traditional advertising." The spot was created by DDB Paris executive creative director Alexander Kalchev and creative directors Pierre Mathonat and Alexis Benbehe. Kalchev said: "When we embarked on this adventure, we dreamed of creating a film that is truly different. But even in our wildest dreams, we did not imagine we would be going to so many incredible new worlds."